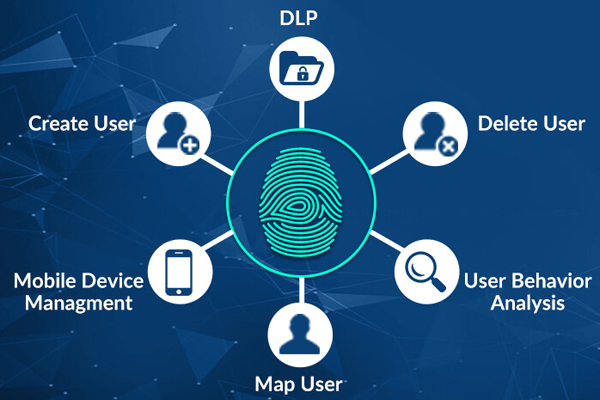 Are you having a question in mind that ‘why you should work with Identity management using blockchain technology?’ Here, we are going to give answer to this question along with the description of issues faced in a traditional identity management system. ‘Everyone is online in today’s date’ – this fact is undoubtedly real. In fact, more and more users are getting engaged in this new world of cloud computing technology. Regularly, millions of computer / mobile users come online to attempt several activities like online shopping, research purpose, posting their memories on social media and for attempting different finance transactions. The more a transaction a user performs online, the more a digital footprint he leaves behind. What’s The Problem With Recent Identity Management System? Prior to the processing service, majority of the online transactions demand disclosure of individual’s personal information. For example – Users have to provide login details like personal information and financial data, to attempt transactions with Amazon Pay, Google Wallet, PayPal, PayTm, etc. This leads to the sharing of personal records of end users, which are stored in a big database. Also, the majority of machines are present in the online world where they are entirely dependent on gaining a person’s data without any information to the owner. In this scenario, 3rd parties gain access to personal records of business customers without the knowledge of subject. There are chances that data stored on the cloud storage platforms get shared with third party entities without concerning from the subject. All these statements show that online identity management system is too far from getting sustainable. Here comes the use of identity management using Blockchain! In the upcoming sections, one is going to determine the reason due to which cloud security experts recommend use of Identity Management system via Blockchain technology. Master nodes could render a possible way for the verification of user identity in decentralized apps. This means that these nodes can democratically choose anyone node for verifying the end user’s identity. The individual behind this respective node can perform manual verification process on documentation. If the node is unable to render good service, the master node can choose for another node. This solution is compatible and effective approach to handle with decentralized identity problem. Blockchain nodes are essential to achieving its proper functioning and no one can avoid it. Well, when a business use identity management using blockchain, three types of nodes are present for them. Simple Node – A machine that operates on the blockchain network, which is capable of sending and receiving transactions. Full Node – A client who works on the network and holds a complete replica of blockchain. This node sends and receives transactions, updates the blockchain data with block entries. Master Nodes – It is useful for decentralized governance and budgeting purpose. Apart from storing complete replica of the blockchain, a node keeps extra data structures like unspent transaction results cache, memory pool for unconfirmed transactions, etc. This helps in rapidly validating a newly received transaction and the mined blocks. If the block is valid or received transaction is authentic, this master node updates it in data structure and relays on the connected node. It is essential to note that a master node does not need to trust on other available nodes because this node is capable of validating information on its own. The idea of identity management using blockchain gives complete access to end users. This enables them to address the information they wish to share for transaction or any other purpose. Simultaneously, the archived data will be kept secure from theft accidents. It makes operations easier, more convenient and helpful for the maintenance of a recent digital clone. Finally, it will be possible to achieve authenticity and veracity of data when enterprises will be using blockchain in identity management.